Once MIUI 10.2.1 update rolls out for your Xiaomi or Redmi device, the Settings menu gets a new option to trigger Google Assistant by holding the power button down for 0.5 seconds. This gesture is disabled by default, and the users will have to go to Settings menu to enable it. 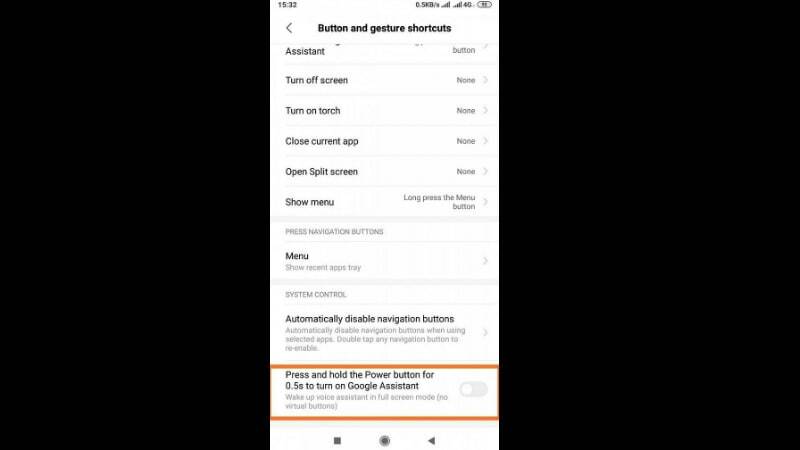 Head to Settings > Button and Gesture Shortcuts > and toggle on ‘Press and hold the Power Button for 0.5 seconds to turn on Google Assistant’. XDA Developers was the first to report about this feature. For those unaware, the Redmi Note 5 Pro₹ 11,898 was the first device to start receiving the MIUI 10.2.1 update. The update began rolling out early January, and it should now have arrived on all Redmi Note 5 Pro devices. All Redmi Note 5 Pro users are advised to head to the Settings menu and check for the new Google Assistant trigger option.